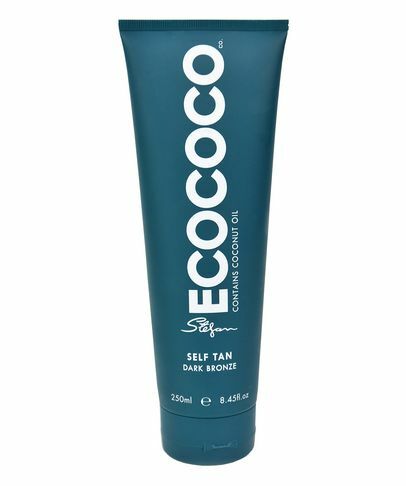 This luscious line is based around two key elements: the products are both eco-friendly and infused with 100% certified organic coconut oil – hence, ECOCOCO. Hailing from Australia’s sunny shores, these sublimely scented body scrubs, self-tans and accessories are all environmentally friendly, cruelty-free and vegan. Brimming with nourishing natural extracts, antioxidants and detoxifiers, the fabulous formulas will give you gorgeously glowing, goddess-worthy skin from top to toe. What’s your biggest skin issue? One of the most common (and frustrating!) skin concerns, few things can ruin one's day like a breakout. Whether your acne's hormonal, stress-induced or the result of skin imbalance, it's crucial to establish equilibrium and respect skin’s defences. Products which promise to shield our complexions from toxins, pollutants and DNA-damaging free radicals are now an integral part of most skin care routines. Born in South Korea, these products help deflect the ageing impact of the urban atmosphere. Caused by clogged pores which then harbour ‘bad’ bacteria, most of us will suffer from blackheads (or pimples) at some stage. Thorough cleansing, regular exfoliation and a clarifying treatment will help decongest and keep skin clean and clear. Caused by accumulated toxins, too-little sleep, broken blood vessels or good old genetics (thanks mum! ), dark circles are notoriously difficult to 'fix'. Our edit of solutions work to 'thicken' fragile skin and ‘shrink’ capillaries so eyes look brighter. Whether chronically dry or just sapped of much-needed moisture (extreme weather and air-conditioning can leave skin dehydrated). Look for water-loving ingredients such as hyaluronic acid, to replenish cells’ reservoirs and leave skin soft and dewy. Everyday exposure to the elements can leave you looking lacklustre. As cellular turnover slows, dulling dead cells ‘stick’ to skin’s surface – compromising its smooth, light-reflective properties and in turn, limiting your healthy, youthful ‘glow’. Stress and sun exposure - as well as genetics - are just some of the reasons for premature lines and wrinkles. From crow’s feet to deep set ‘elevens’, we have instant line-lesseners and long-term solutions to ‘plump’ and diminish the depth of creases. Dark spots - whether due to hormones, stubborn blemishes or sun-worship - are the result of over-stimulated melanocytes. The latest innovations can pause melanin production as they fade existing patches so your skin becomes more even. Oil is not all bad (it keeps skin looking younger, longer) but, nobody wants a greasy visage. If your sebaceous gland’s in overdrive, astringents work short term but can exacerbate the issue. 'Trick' your skin by treating oil with oil (trust us!). Seek medical advice if you’re susceptible to eczema (excessively dry, broken skin) or psoriasis (red, inflamed patches). However, there do exist some soothing and reparative ingredients which calm the inflammation and bring swift relief from itching. Whether you're susceptible to reactivity or suffer from Rosacea (a chronic skin condition), it's vital to acknowledge your complexion's sensitivity and look for calming formulas that combat inflammation (rose is renowned for its skin-soothing benefits). Responsible for suppleness and 'stretch', our skin makes less elastin as we age. Crêpey-ness, droopy eyelids and jowls are all caused by reduced elasticity, so choose cell-stimulating products to restore its former firmness. Whether textural or due to pigmentation, refining your skin’s texture is the first step towards lessening the visibility of scars. AHAs and retinoids are best friends on the quest for an immaculate complexion – accelerating turnover and triggering repair. For those with easily-offended complexions we’ve a range of solutions to respect sensitive skin. With soothing and anti-inflammatory ingredients (rose is remarkably calming), its crucial to establish balance – ‘feeding’ skin’s flora to quell reactivity. You can't 'shrink' pores and they won't 'close' (they're not doors) but, you can improve their visibility. Often caused by a decline in elasticity, formulas that fortify and increase skin's resilience will improve your complexion's perceived clarity. Boasting painstakingly cultivated plant extracts, grown on organic farms without exposure to pesticides, herbicides, synthetic fertilisers or GMO, these products star the finest, super-natural ingredients to nurture your complexion. Put off by parabens? Mindful of mineral oil? Everybody loves their skin care to smell lovely, but artificial fragrances can irritate some delicate complexions. If your skin's super sensitive, choose products without 'parfum' - they may not smell of roses but they'll respect petal-esque visages. Some prefer their products without alcohol – it can be drying if your skin is easily offended. Fortunately, we have any array of skin solutions which are completely ‘sans alcohol’ – enticing ‘mocktails’ for all those who like to keep things clean. If you’re allergic to, or intolerant of gluten, you may wish to choose products which are gluten-free. A growing concern for many, the beauty industry is catching up and now its possible to find skin care which subscribes to this ethos. Derived from petroleum, there's nothing explicitly 'wrong' with mineral oil (sometimes listed as paraffin) - it helps to 'seal' much-needed moisture into skin but can contribute to congestion if you're prone to blemishes and blackheads. A great way to clean up your skin care routine, our super-natural formulations boast more than 80% plant-derived extracts to nourish your cells and encourage a healthy complexion. With cold-pressed oils and potent actives, they’re perfect for purists. PEGs (or polyethylene glycols) are groups of compounds which have multiple functions – to lubricate skin and deliver active ingredients to where they’re needed. However, they’re not great if your skin is sensitive – proceed with caution if you’re acneic. If you’re expecting then you might wish to proceed with caution when it comes to skin care (and some key ingredients). Although the majority of products are completely safe for use throughout your pregnancy, our edit has been given the ‘thumbs up’. Silicones are what give products 'slip' - creating that spreadable texture that unifies skin and creates a smooth canvas for make up. They help to lock in moisture but can be comedogenic (pore-clogging) so avoid them if you're prone to imperfections. Sulphates (SLS) are synthetic cleansing agents (they cause your cleansing gels to lather). Although there's very little to suggest they're damaging, some can find them 'stripping' which is why they're best avoided if your skin is dry or compromised. With growing numbers of health-conscious individuals subscribing to a vegan diet, demand for ethical cosmetics that are completely free from animal by-products (honey, beeswax and latic acid, for example) is an ever more common concern.